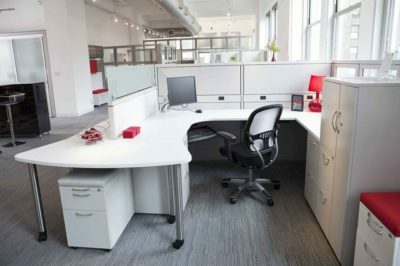 Looking for a reconditioned Generic cubicle? 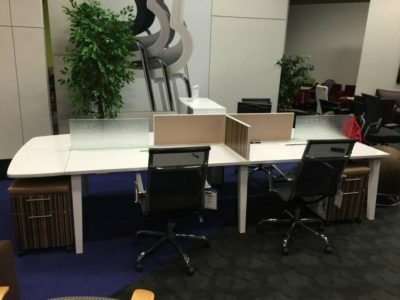 Office Liquidation has a large selection of grey and beige cubicle available in our big Orlando office furniture warehouse. 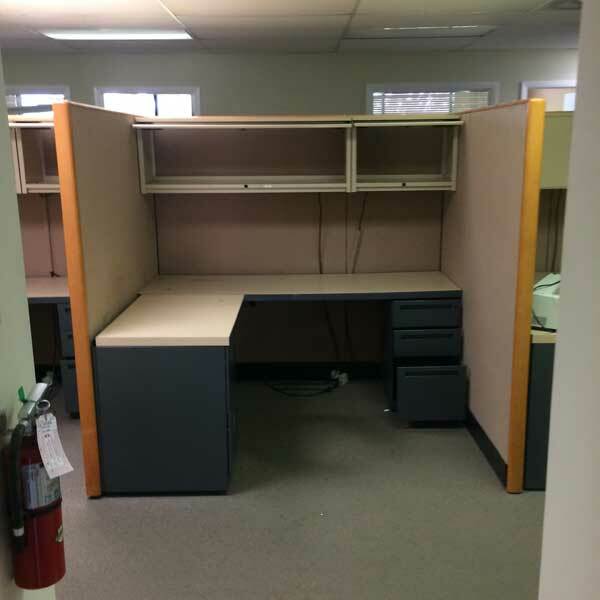 You will find the lowest cost on decommissioned Generic cubicle. We are Orlando’s reconditioned cubicle source. 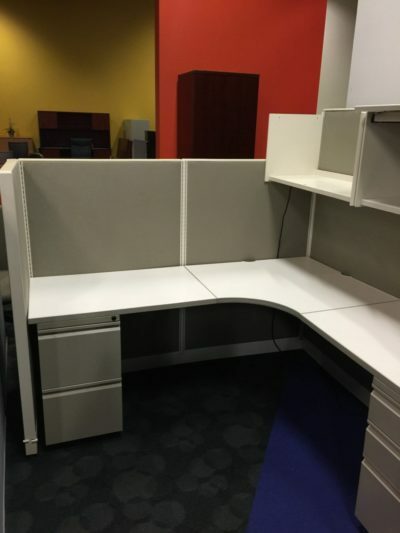 Purchase used Grey & Beige cubicle by Generic at Office Liquidation in Orlando. This really is a six pack of cubicles that are all 5ft x 6ft. They feature two overhead bins for maximum storage, two pedestals, and grey work surfaces.